As of September 1, 2016, the number of newly eligible Montanans enrolled for Medicaid stands at 52,817 with American Indians numbering 6,737. The goal of SB 405, known as the Montana Health and Economic Livelihood Partnership (HELP) Act of 2015, was to extend health care coverage to more than 70,000 uninsured Montanans, nearly a third of which were American Indian. As a result of the expansion, American Indians making less than 138 percent of the federal poverty level can now access a comprehensive range of health care services at locations across the state without any form of cost-sharing. Not only does this have the potential to begin closing the staggering American Indian health disparities gap, but it also allows the state Medicaid program to recoup 100 percent of the cost of all Medicaid services provided through an Indian Health Service (IHS) or tribal facility. The state and enrollment assisters continue efforts to reach, inform, and enroll eligible American Indians. In order to ensure success, it is important for those engaged in these efforts to understand the intricacies of how American Indians access health care. For example, knowing that American Indians have historically tended not to have health insurance, relying instead on IHS, helps explain why American Indians may be less inclined to explore other coverage options. Additionally, understanding the historical and contemporary basis of IHS and being able to articulate the precise benefits of having Medicaid coverage are also necessary for ensuring the success of outreach and enrollment efforts. Finally, it is important to understand the barriers the eligible demographic faces in accessing information and completing the enrollment process. The obligation of the federal government to provide health care to American Indians stems from what is known as its trust responsibility to tribes. This unique responsibility originated in international law, which governs the interactions between foreign governments. According to one of the theoretical foundations of international law called the Law of Nations, politically and militarily “superior” nations had a moral obligation to protect the original inhabitants’ interests as they established colonies and assumed control of indigenous homelands. Both the form of protection and the range of interests have been defined by more than two hundred years of Congressional acts and U.S. Supreme Court rulings. Today they include a federal obligation to protect tribal lands, sovereignty, and resources, as well as the wellbeing of individual tribal members, among other things. The federal responsibility for health care arises, in part, from the definition of trust tied to this history. The U.S. Constitution also defined the federal-tribal trust relationship and the idea of federal authority over Indian affairs, and these concepts were formalized in the treaties signed by the American government and tribal nations. Between 1778 and 1871, the United States negotiated over 400 treaties with American Indian tribes, though Congress ratified only 375. Through these treaties, tribes ceded control of millions of acres of their homelands to the U.S., in exchange for compensation that oftentimes included medical services like providing tribes with doctors and hospitals. It was not until 1921, however, that Congress passed the Snyder Act codifying the federal government’s trust obligation to “protect” or ensure that the widespread health and welfare needs of all American Indians in the U.S. were being met. The Snyder Act authorized the continuation of federal programs designed “for the benefit, care, and assistance of Indians throughout the United States.” It explicitly stated that the Bureau of Indian Affairs was charged with overseeing Congressional appropriations for the “relief of distress and conservation of health” and the employment of physicians, among other broad quality of life and health improvement directives relating to American Indians. Since 1976, IHCIA has been temporarily reauthorized and amended multiple times before being made permanent in 2010 by the passage of the Patient Protection and Affordable Care Act. Today, IHS provides health care services to 2.2 million American Indians at nearly 650 hospitals, clinics, and health stations in tribal communities and urban areas located in thirty-five states containing Indian reservations. There are also two additional states without any reservations but with Indian populations significant enough to necessitate the presence of IHS facilities in Chicago and Baltimore. Who is eligible for IHS? • Are a non-Indian member of an eligible Indian’s household and the medical officer in charge determines that services are necessary to control a public health hazard or an acute infectious disease which constitutes a public health hazard. Five non-profit status urban Indian health programs located in Missoula, Great Falls, Billings, Helena, and Butte. Services generally consist of primary medical care, though dental and some specialized practice areas are also offered. Availability of services varies widely from one facility to the next and can be delivered either directly at IHS, tribal or urban health (I/T/U) facilities, or through services purchased from private providers. Purchased services were previously called Contract Health Services but are now referred to as Purchased/Referred Care (PRC). The idea behind PRC is to enable IHS beneficiaries to access care in instances when a local IHS facility is incapable of providing it. The contract health service delivery area consists of a county that includes all or part of a reservation, and any county or counties that have a common boundary with the reservation. For a breakdown of services provided at select IHS facilities, see Charts 2 and 3 in Attachment A at the end of this report. IHS is not a health insurance program and American Indians are not required to pay premiums, co-payments, or meet deductibles, nor are they required to complete applications. Instead, they simply register for services at a particular facility upon proving their eligibility. An individual is eligible for direct care services at any IHS facility if they are a member or descendent of a member of a federally recognized tribe. Descendents are generally not eligible for PRC services, however. Eligibility for PRC services is much stricter and individuals must reside within a contract health service delivery area and be a member of the local tribe on whose reservation the referring IHS facility is located. On the other hand, eligibility for urban Indian health programs is broader and includes service to state recognized tribes and Indians from tribes whose federal recognition has been terminated. Due to severe and chronic underfunding of IHS, direct services are restricted by limitations on medical supplies, equipment, and medical staff. All services are provided “as available at IHS facilities or on a contractual basis when Contract Medical Care funds are available.” Services obtained under PRC are limited as well. Life-or-limb illnesses and injuries are given the highest priority and are often the only referrals approved. However, even high-priority referral requests cannot be approved once funding has run out. IHS has acknowledged that this “renders the PRC program to authorize care at restricted levels and results in a rationed health care system.” Additionally, IHS pharmacies generally do not carry all medications, only those proven to be most cost-effective. Although efforts have been made to increase federal funding, IHS remains severely underfunded. While other federal health programs, such as Medicaid and Medicare receive automatic funding increases to cover the total eligible population, IHS funding is discretionary and is contingent upon an annual appropriation by Congress. While Congressional appropriations for IHS have increased 53 percent since 2008, current funding for IHS covers only 60 percent of the health care needs of eligible American Indians. For comparison, the federal government paid approximately $9,523 per person eligible for Medicare and Medicaid in 2014. The amount spent per person through IHS in the same year was less than a third, at approximately $2,849. In addition to funding shortages and the resulting limitations on availability of services, the location of where an eligible American Indian is living plays a role in their ability to access IHS services. American Indians cannot take advantage of IHS services if IHS or tribal facilities are not located within a reasonable distance from where they reside. Additionally, as noted earlier American Indians who live off their own reservation and outside their IHS’s contract health service delivery area often no longer qualify for PRC services. And if they do not reside in one of the five urban centers with an Indian health facility, they will be unable to access health care through IHS. In Montana, 57 percent of all American Indians were unable to access coverage through IHS in 2013. Compounding this issue is the fact that the majority of American Indians have historically tended not to carry health insurance, thus seeking care outside of IHS has not been an option. In 2009, Montana ranked first among states with the highest number of uninsured American Indians. Limited access to adequate health care through IHS coupled with a low occurrence of individuals with private insurance has contributed to the staggering health disparities experienced by American Indians today. This includes a highly disproportionate disease burden and lower life expectancy when compared with all other Americans. In 2013, American Indians in Montana lived 19-20 years less than the rest of the state’s non-Indian population, with American Indian men expected to live to age 56 and women to 62. Additionally, a third of all American Indians in Montana reported living in fair or poor health and 26 percent reported experiencing health issues that limited their daily activities. In 2015, Montana expanded eligibility for Medicaid to include people earning less than 138 percent of the federal poverty level, extending critical health care coverage to an estimated 19,547 American Indians. Between November 2, 2015, when enrollment began, and September 1, 2016, the number of newly eligible American Indians who had enrolled in Medicaid stood at 6,737. American Indian enrollment steadily increases each month and now stands at 30 percent of the total number eligible. However, the rate at which American Indians are enrolling is beginning to slow slightly, demonstrating that a more concerted outreach and enrollment effort is needed. Medicaid is a critical resource for eligible American Indians who either have no insurance or who are dealing with inadequate care through IHS’s rationed system. Further, due to the federal trust obligation to provide health care, American Indians enrolled in Medicaid are exempt from any form of cost sharing including paying premiums, co-pays, and deductibles. Additionally, care is not restricted to IHS’s reservation or urban care facilities, and as with other Medicaid beneficiaries, American Indians can access care at any provider participating in the state’s Medicaid program. However, if services are accessed “through IHS,” the federal government will pay 100 percent of the billed cost with no fiscal impact to the state. Both the IHS/tribal facility and the non-IHS/tribal provider must be enrolled in the state’s Medicaid program. All care must be provided pursuant to a written care coordination agreement between the IHS/tribal facility and the non-IHS/tribal provider. The patient must have an established relationship with a qualified practitioner at the IHS/tribal facility. Montana Department of Public Health and Human Services has yet to release statewide guidelines on how this will apply in Montana. However, this expansion could provide additional state savings which could be used, in part, to assist the state, IHS, and tribes in improving the delivery of health care to American Indians by increasing access, strengthening continuity of care, and improving population health. Although American Indians continue to enroll for Medicaid, the rate at which they are signing up is slowing and there are still thousands more who are eligible. Due to the nature of outreach efforts, connecting with the remaining eligible population will likely require a more focused approach. It is also important to remember that 43 percent of all American Indians in Montana resided in urban areas in 2000. This means that those eligible for Medicaid are scattered throughout the state, requiring a true statewide effort and not one solely focused on reservations. The state and others engaged in enrollment efforts need to employ precise targeting methods that are grounded in an understanding of the possible barriers this particular demographic faces in accessing information and completing the registration process. Some things to consider include the fact that online enrollment is not an option for people living in many rural places in the state. Montana is the least connected state in the U.S. with only 18 percent of the population having access to broadband. Additionally, in 2014, about 10 percent of American Indians in Montana self-reported that they did not have regular access to a working telephone and roughly the same number reported not having access to a vehicle. This is the same demographic most likely to be eligible for Medicaid and reaching them requires creativity when designing outreach materials and enrollment campaigns. It is also important to be aware that information may need to be delivered in another language other than English, depending upon the tribal group. For example, although it has rapidly declined over the past couple of decades, Crow language fluency is at about 28 percent. Likewise, about 17 percent of the Northern Cheyenne tribe speak Cheyenne. This means that outreach materials may need to be created for a tribal language-only or bilingual audience. Further, active on-site registration efforts in areas like these may require the presence of an interpreter. Those engaged in increasing access to coverage may also factor in specific language used. While this report continues to use the term “enrollment” when discussing ways to expand access to health coverage, the term “enrollment” has very different connotations in Indian Country. The state and others engaged in expanding coverage might consider using terms like, “signing up” or “registering” for Medicaid. Outreach workers need to understand the stark limitations of services provided through IHS and the real life benefits of having Medicaid coverage in addition to IHS. A primary message to communicate to potentially eligible individuals is that Medicaid offers guaranteed access to comprehensive health care. The variety of services available through IHS varies greatly from one I/T/U facility to the next. However, the fact that all services—direct as well as PRC—are provided “as funds are available” leaves much to be desired in terms of comprehensive health care. Attachment A, found at the end of this report, depicts three charts that provide a stark visual of the differences in services available through Medicaid and various I/T/U facilities in the state. Chart 1 describes services that American Indians can access through Medicaid. Chart 2 lists services provided at the Blackfeet Service Unit, and Chart 3 depicts services provided at the urban Indian Health Board of Billings. This type of side-by-side comparison can be very compelling in demonstrating the advantages of having Medicaid coverage and is important for those engaged in outreach and enrollment efforts, as well as the population of eligible American Indians, to understand. Not only does Medicaid enable beneficiaries to access comprehensive health care, it also provides them with an important financial safety net. Say, for example, that an uninsured tribal member residing on-reservation sustains a severe but non-life-threatening injury. They check into the nearest clinic for treatment. The patient is uninsured but is an IHS beneficiary, so the clinic bills IHS. However, because the clinic does not have a contract to provide care on behalf of IHS, IHS will not pay. The clinic then bills the patient. The patient is unable to pay so the clinic sends the bill to a collection agency and is ultimately forced to write off the cost of providing the service. The patient then has to deal with collections, potential wage garnishment, impacts to their credit score, and the negative long-term ramifications that go along with having bad credit. However, if the uninsured individual has qualified and enrolled in Medicaid, the story has an entirely different outcome. The patient receives the necessary treatment. The clinic bills Medicaid. Medicaid pays and the patient incurs zero cost. Likewise, if an uninsured tribal member living off-reservation is injured and seeks treatment at the nearest clinic, they will be liable for the cost of treatment unless several variables are in place: the patient happens to reside within their reservation’s IHS contract health service delivery area, and the IHS happens to have a contract with that particular provider, and the IHS is willing to approve the “referral” post-service, and they happen to have available funding to cover the cost. If any one of the variables is not present, the patient will be liable for the bill. But, if the patient has Medicaid coverage, the provider bills Medicaid, Medicaid pays, end of story. In perhaps one of the most poignant demonstrations of the benefits of having Medicaid coverage, a women’s health doctor specializing in gynecological surgery in Kalispell, who spoke to the author, saw an influx of newly eligible American Indian women, many of whom had been dealing for decades with simple-to-correct issues that had not only impacted their quality of life but also impaired their ability to work, recreate, and exercise. The necessary services were not available at their IHS, nor were their medical issues considered “life or limb” illnesses and as a result did not meet IHS’s general PRC criteria for a referral for surgery. Several of these women had recently enrolled in Medicaid with the assistance of their local IHS benefits coordinator, who had been compiling a list of eligible individuals since she first heard about the possibility of Medicaid expansion in 2013. Medicaid is a critical resource for eligible American Indians who either have no insurance or who are dealing with inadequate care through IHS’s rationed system. Eligible individuals can access comprehensive health care services at any provider participating in the state’s Medicaid program. See Chart 1 in Attachment A for the specific services covered by Medicaid. Medicaid provides American Indian beneficiaries with an important financial safety net. American Indians are exempt from any form of cost sharing including paying premiums, co-pays, and deductibles. Access to medically necessary and preventative services is guaranteed and cannot be denied due to a lack of available program funds. American Indians living off-reservation and outside their IHS’s contract health service delivery area can access important health care services without having to travel to the nearest reservation-based IHS facility. Instead, they can access care through any provider participating in the state’s Medicaid program. American Indians living in urban areas can access health care outside of the urban health facilities through any provider participating in the state’s Medicaid program. Eliminate confusion by excluding information about ACA and the health insurance Marketplace on Medicaid-specific outreach print materials. For example, people will be more likely to look into their eligibility and enroll for Medicaid if it is clear that they will not be subject to cost-sharing of any kind (which is not the case with other forms of insurance for American Indians). Invest in the capacity of local IHS benefits coordinators, urban Indian community health coordinators, and others similarly employed to do outreach and registration. These individuals have a direct window into the needs of people in their communities. Use local success stories to normalize Medicaid registration (i.e., help alleviate the stigma of utilizing Medicaid coverage by showing the value of having coverage). Be mindful of the fact that English may not be the first or only language of the targeted audience and that outreach and enrollment materials will be most affective if delivered in the primary language(s) spoken by a particular demographic. Remember that online enrollment may not be an option for people living in many rural places in the state. Additionally, many American Indians may not have access to a telephone or vehicle to help facilitate their enrollment. Consider creating larger (poster-size) informative print materials that contain minimal content, just essential information about Medicaid, and post them at places the target population frequents—tribal and public social services, grocery stores, post offices, and other locations people tend to visit and/or wait in line. Encourage DPHHS to find ways to provide more training, technical assistance, and support of outreach and enrollment activities in Indian Country. Find ways to support the collaborative efforts of non-state partners doing outreach and enrollment in Indian Country. Continue to legislatively support the goal of Medicaid expansion by maintaining the current eligibility criteria and working to ensure that the rest of the eligible American Indian population can access the critical health care they need. The work upon which this report is based was funded, in part, through support from the Montana Healthcare Foundation. 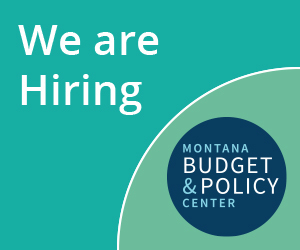 The statements and conclusions of this report are those of the Montana Budget and Policy Center. Ed Fox, “Health Care Reform: Tracking Tribal, Federal, and State Implementation,” Kauffman and Associates, Inc., May 20, 2011, p. 23. https://www.cms.gov/Outreach-and-Education/American-Indian-Alaska-Native/AIAN/Downloads/CMSHealthCareReform5202011.pdf. Accessed July 5, 2016. Numbers of ratified treaties range from 370-375. There were at least 45 additional treaties that were negotiated but were never ratified by Congress. U.S. Bureau of Indian Affairs website. Frequently Asked Questions. http://www.bia.gov/FAQs/. Accessed August 2016. The Snyder Act, 25 USC 13, Public Law 67-85, November 2, 1921. Section 13. Expenditure of appropriations by Bureau. http://uscode.house.gov/view.xhtml?req=(title:25%20section:13%20edition:prelim). Accessed June 27, 2016. An Act to the maintenance and operation of hospital and health facilities for Indians to the Public Health Service, and for other purposes, Public Law 83-568. https://www.gpo.gov/fdsys/pkg/STATUTE-68/pdf/STATUTE-68-Pg674.pdf. American Indian Healthcare Improvement Act, 25 U.S.C 1601, et seq., Public Law 94-437. https://www.ihs.gov/ihcia/includes/themes/newihstheme/display_objects/documents/home/2000_IHCIA_Codification.pdf. Accessed July 8, 2016. “Indian Health and Medicaid.” https://www.medicaid.gov/medicaid-chip-program-information/by-topics/indian-health-and-medicaid/indian-health-medicaid.html. Accessed July 13, 2016. Mary Smith, “Dear Tribal Leader” Letter. July 20, 2016. https://www.ihs.gov/newsroom/includes/themes/newihstheme/display_objects/documents/2016_Letters/55979-1_DTLLMedicareMedicaidPilot07202016.pdf. Accessed August 15, 2016. Congressional reauthorization for IHCIA appropriations occurred through the Indian Health Amendments of 1992, which authorization expired in 2000 but was extended until 2001. Congress continued to authorize IHCIA from 2001 to 2009, when they passed the Indian Health Care Improvement Reauthorization and Extension Act, which was amended by the Patient Protection and Affordable Care Act of 2010. The ACA reauthorizes IHCIA permanently and appropriates necessary funding for FY 2010 and each fiscal year thereafter, which is to remain available until expended. Elayne J. Heisler and Roger Walker, “Indian Health Care Improvement Act Provisions in the Patient Protection and Affordable Care Act (P.L. 111-148),” Congressional Research Service, March 30, 2010. http://www.npaihb.org/images/resources_docs/weeklymailout/2010/april/week4/IndHlthCareCRS%20(2).pdf. Accessed July 20, 2016. Indian Health Service. “About IHS.” https://www.ihs.gov/aboutihs/. Accessed August 1, 2016; Ed Fox, “Health Care Reform: Tracking Tribal, Federal, and State Implementation,” Kauffman and Associates, Inc., May 20, 2011, p. 6. https://www.cms.gov/Outreach-and-Education/American-Indian-Alaska-Native/AIAN/Downloads/CMSHealthCareReform5202011.pdf. Accessed July 5, 2016. Through self-determination contracts and self-governance compacts, tribes like the Confederated Salish and Kootenai Tribes and the Chippewa-Cree Tribe in Montana can operate IHS facilities and health programs on their reservations. Currently, over half of the IHS budget is administered by tribes. “IHS Year 2015 Profile,” https://www.ihs.gov/newsroom/factsheets/ihsyear2015profile/. Accessed July 1, 2016. Indian Health Service. “Billings Area.” https://www.ihs.gov/billings/. Accessed June 22, 2016. Note: Besides IHS grants and contracts, urban Indian health programs receive funding from state and private sources, patient fees, Medicaid, Medicare, and other non-IHS federal programs. In January 2014, the Consolidated Appropriation Act of 2014 renamed the Contract Health Services program to the Purchased/Referred Care (PRC) program. All policies and practices remain the same. Indian Health Service Website. Purchased/Referred Care. https://www.ihs.gov/newsroom/factsheets/purchasedreferredcare/. Indian Health Service Website. Purchased/Referred Care. https://www.ihs.gov/newsroom/factsheets/purchasedreferredcare/. Indian Health Manual, Part 2, Chapter 3, Section 2-3.3, “Contract Health Service Delivery Area.” https://www.ihs.gov/IHM/index.cfm?module=dsp_ihm_pc_p2c3#2-3.3. Accessed August 9, 2016. Indian Health Manual, Part 2, Chapter 1, Section 2-3.6, “Contract Health Service Eligibility Requirements.” https://www.ihs.gov/IHM/index.cfm?module=dsp_ihm_pc_p2c3#2-3.6. Accessed August 1, 2016. Ed Fox, “Health Care Reform: Tracking Tribal, Federal, and State Implementation,” Kauffman and Associates, Inc., May 20, 2011, p. 7. https://www.cms.gov/Outreach-and-Education/American-Indian-Alaska-Native/AIAN/Downloads/CMSHealthCareReform5202011.pdf. Accessed July 5, 2016. Indian Health Manual, Part 2, Chapter 1, Section 2-1.4, “Provision of Services.” https://www.ihs.gov/IHM/index.cfm?module=dsp_ihm_pc_p2c1#2-1.4. Accessed August 1, 2016. Indian Health Service, “Purchased/Referred Care History.” https://www.ihs.gov/prc/?module=chs_history. Accessed July 20, 2016.
 https://www.ihs.gov/forpatients/faq/. Besides simply providing health care services, IHS funds must also go towards related expenses like facilities operating costs, purchasing medical equipment and meeting health technology needs, staffing, and infrastructure projects like building and maintaining clinics and hospitals. Additionally, IHS funds also pay for important health-related projects like sanitation and solid waste disposal facilities across Indian Country. IHS oftentimes provides these public services through partnerships with other federal agencies. Finally, funds also go towards meeting other directives outlined in IHCIA such as creating scholarships to recruit more American Indians into health professions (http://www.hhs.gov/about/budget/budget-in-brief/ihs/index.html#programs; https://www.ihs.gov/redesign/includes/themes/newihstheme/display_objects/documents/HHSTribalFY2016Budget.pdf. Accessed July 1, 2016. Indian Health Service, “Contract Health Service, Frequently Asked Questions.” (See Q. I am eligible for health care from the Indian Health Service, but the local Service Unit will not pay for the [surgery, health care, medicine] that I need? Why?) https://www.ihs.gov/forpatients/faq/#q7. Accessed June 23, 2016. Centers for Medicare and Medicaid Services, “Historical National Health Expenditures Fact Sheet, 2014.”https://www.cms.gov/research-statistics-data-and-systems/statistics-trends-and-reports/nationalhealthexpenddata/nhe-fact-sheet.html. Accessed July 6, 2016; Indian Health Service, “Year 2014 Profile,” https://www.ihs.gov/newsroom/factsheets/ihsyear2014profile/. Accessed July 6, 2016. Note: The IHS 2014 profile lists the per capita personal Health Care expenditures for the Total U.S. population as $8,099, or $1,424 less than is reported by CMS. Patients who move outside their Contract Health Service Delivery Area remain eligible for a period of 180 days. An exception is made for full-time students residing away from their reservation and Contract Health Service Delivery Area. In these instances a patient’s area of residence is defined as the area where the patient currently resides, unless an exception applies such as the patient has moved to attend a university full-time. https://www.ihs.gov/IHM/index.cfm?module=dsp_ihm_pc_p2c3#2-3.3. Accessed August 9, 2016. Montana DPSSH. State of the State’s Health: A Report on the Health of Montanans. https://dphhs.mt.gov/Portals/85/publichealth/Publications/State%20of%20the%20State_s%20Health%20Final%209%20.2013.pdf. Accessed July 5, 2016. In 2009, 42.9 percent of all American Indians in Montana were uninsured. This number increased to 56.6 percent when looking at American Indians between ages 18 and 64. Ed Fox, “Health Care Reform: Tracking Tribal, Federal, and State Implementation,” Kauffman and Associates, Inc., May 20, 2011, p. 12,13. https://www.cms.gov/Outreach-and-Education/American-Indian-Alaska-Native/AIAN/Downloads/CMSHealthCareReform5202011.pdf. Accessed July 1, 2016. Pre-ACA, private insurance was most frequently accessed as an employee benefit. In 2013, only 25 percent of American Indians in Montana accessed health insurance through an employer. Montana DPSSH. State of the State’s Health: A Report on the Health of Montanans. https://dphhs.mt.gov/Portals/85/publichealth/Publications/State%20of%20the%20State_s%20Health%20Final%209%20.2013.pdf. Accessed July 5, 2016. There are many possible reasons for this including the fact that in Montana, between 32 and 36 percent of all American Indians live in poverty and experience high rates of unemployment. (U.S. Department of the Interior, Office of the Secretary of Indian Affairs, “ 2013 American Indian Population and Labor Force Report, (2013). Ed Fox, “Health Care Reform: Tracking Tribal, Federal, and State Implementation,” Kauffman and Associates, Inc., May 20, 2011, p. 11. https://www.cms.gov/Outreach-and-Education/American-Indian-Alaska-Native/AIAN/Downloads/CMSHealthCareReform5202011.pdf. Accessed July 1, 2016. Indian Health Service, “Health Disparities” Fact Sheet. https://www.ihs.gov/newsroom/factsheets/disparities/. Accessed July 5, 2016. See MT DPHHS website, “Newly Enrolled By County.” http://dphhs.mt.gov/HELPPlan/Policymakers. Medicaid.gov, “Indian Health and Medicaid,” https://www.medicaid.gov/medicaid-chip-program-information/by-topics/indian-health-and-medicaid/indian-health-medicaid.html. Accessed July 19, 2016. U.S. Department of Health and Human Services. Center for Medicare and Medicaid Services. Federal Funding for Services “Received Through” an HIS/Tribal Facility and Furnished to Medicaid-Eligible American Indians and Alaska Natives. https://www.medicaid.gov/federal-policy-guidance/downloads/sho022616.pdf. February 26 2016. U.S. Census, “American Fact Finder: Montana, American Indian and Alaska Native alone.” 2014. http://factfinder.census.gov/faces/tableservices/jsf/pages/productview.xhtml?src=bkmk. Accessed August 15, 2016. Crow fluency statistics from http://nativenews.jour.umt.edu/2016/mining-for-votes-crow/ and DyAnna Wilson, Coordinator of the Montana Indian Language Preservation Pilot Program for the Crow Tribe (personal communication). Northern Cheyenne fluency statistics from Mina Seminole, Chief Dull Knife College (personal communication) and http://www.cdkc.edu/cheyennedictionary/index-en.htm. Accessed August 18, 2016.